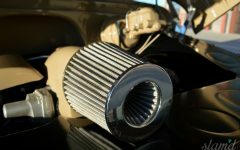 From enthusiast to enthusiast, the automotive experience is as unique as the individual. 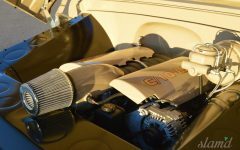 Circumstances surrounding the one’s relationship with hot rods, customs, and other auto genres, vary heavily because the experiences are so personally intimate. 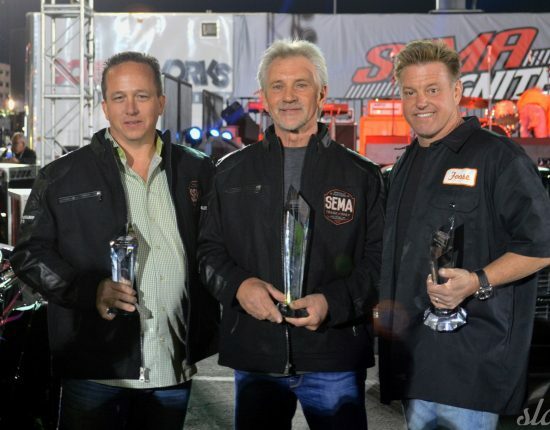 For many, the automotive passion takes root early in life, while for others it catches fire later years. 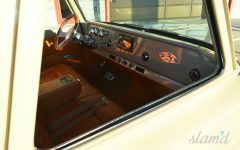 A truly unique story is that of someone whose passion for the same vehicle has not waivered for 50 years but, has only grown deeper as time moves along. 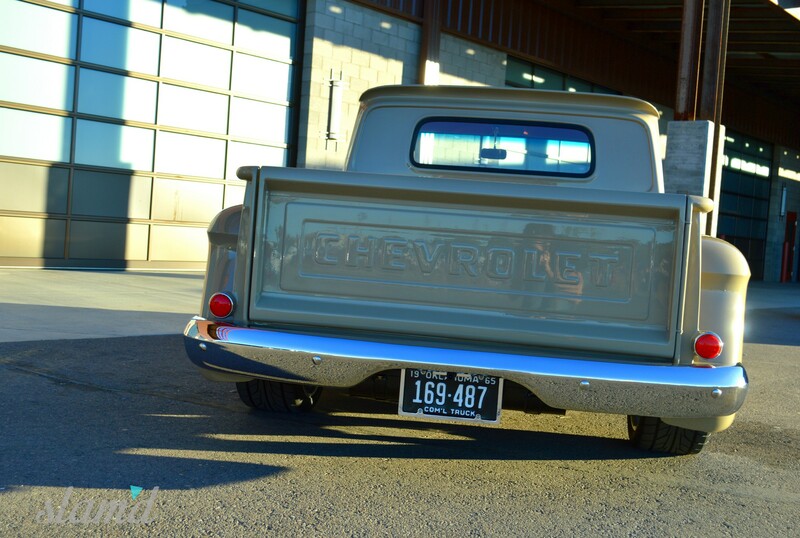 Donny Johnson, a man who has spent half a century with his 1965 Chevrolet C10 Stepside, has such a story. 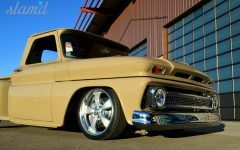 Originally purchased by Donny’s father, the 1965 Chevy became a member of the family in 1968, when he was just seven years old. 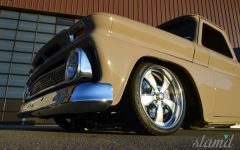 The C10 was first rebuilt in 1977, when Donny’s father gave his son a present which all teenagers hope for on their 16th birthday: a set of wheels to cruise in. 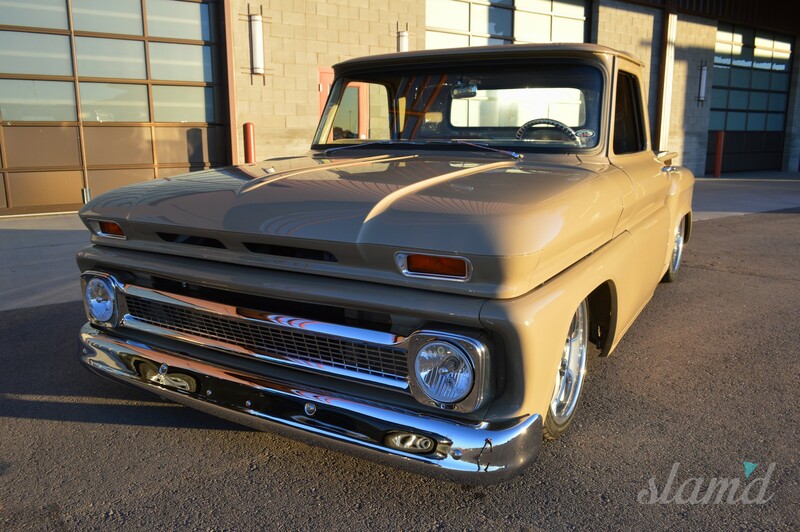 The truck served as Donny’s faithful daily driver throughout high school and college. 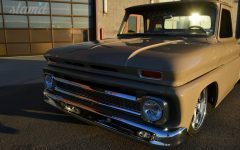 When Donny purchased a newer vehicle after college for the sake of practicality, the truck returned home and continued to serve the Johnson family as a weekend cruiser and family heirloom. 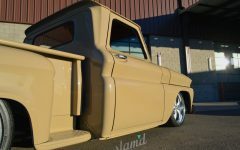 It was placed into storage for a short time until Donny could readdress the truck, receiving a second rebuild in 1989. 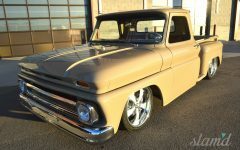 The refreshment brought with it a number of customizations and personal upgrades, further increasing its sentimental value to both Donny and his family. 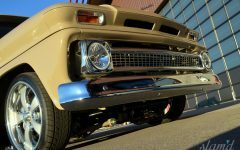 Through highs and lows, thick and thin, one constant for Johnson family could fall back on was the classic Chevrolet pickup that seemed to run on their family blood. Despite the truck’s faithfulness of service to the family, life constantly reminds people of its unpredictability. Such was the case in late in 2013, when Donny underwent open heart surgery. It took one year to make a full recovery, and Donny was inspired to once again take up a wrench and pursue the level of extreme customization he had always envisioned for his Chevy. 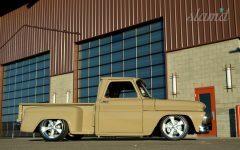 Ultimately his goal was to finish the Stepside by the time his third daughter would walk down the isle in June of 2016. 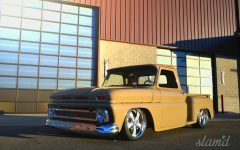 The primary objective of this third build was motivated by the infamous LS7 engine that would eventually be dropped in. 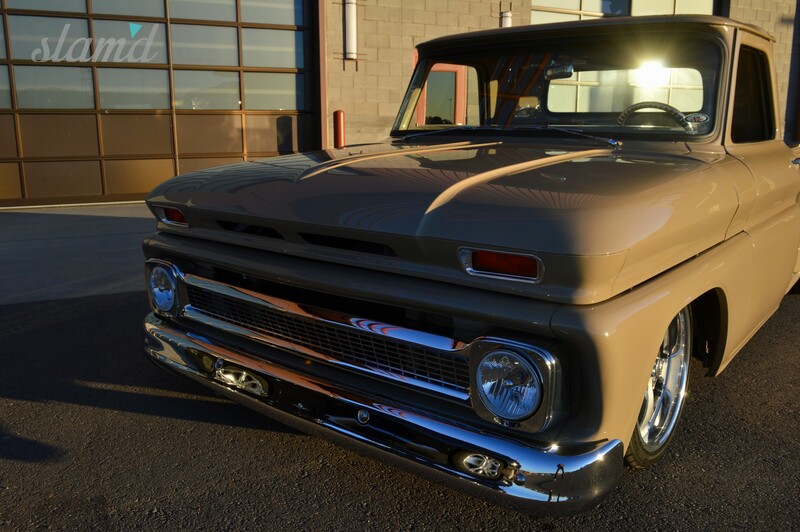 A close second was the accentuation of the truck’s natural aesthetic appeal which is often overlooked. 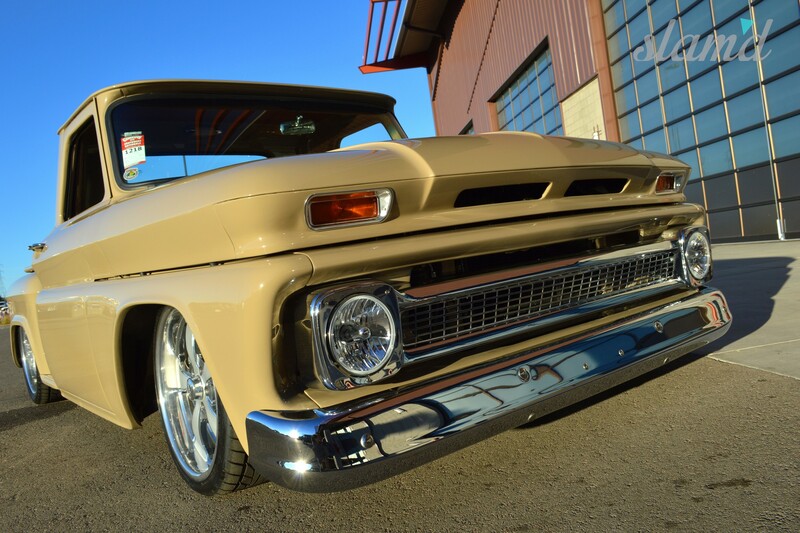 To accomplish this dream, Donny turned to Dave Lewis and the A1 Auto Body team in Broken Arrow, Oklahoma. With a clear list of goals for the rebuild, the A1 team began a full tear-down process. 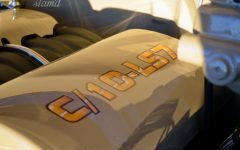 As a starting point, the high-profile radiator support in the engine bay was deleted. 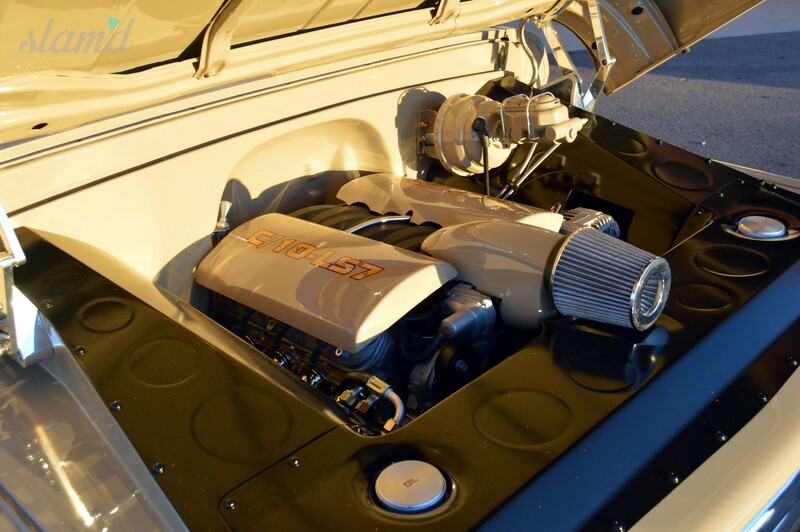 Despite the LS7’s high demand for cooling capacity, the body shop provided a far cleaner approach to mounting a heavy-duty radiator. 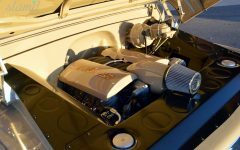 Donny’s vision for the engine bay was an extremely clean and tucked aesthetic, one that lacked chrome or billet components. In addition to the radiator mount, the team built custom inner fenders to provide a smooth and safe route to tuck the wiring. 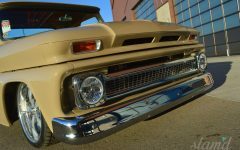 The vast majority of the exterior factory body aspects were kept in tact, but further refined with a myriad of fine tuning. 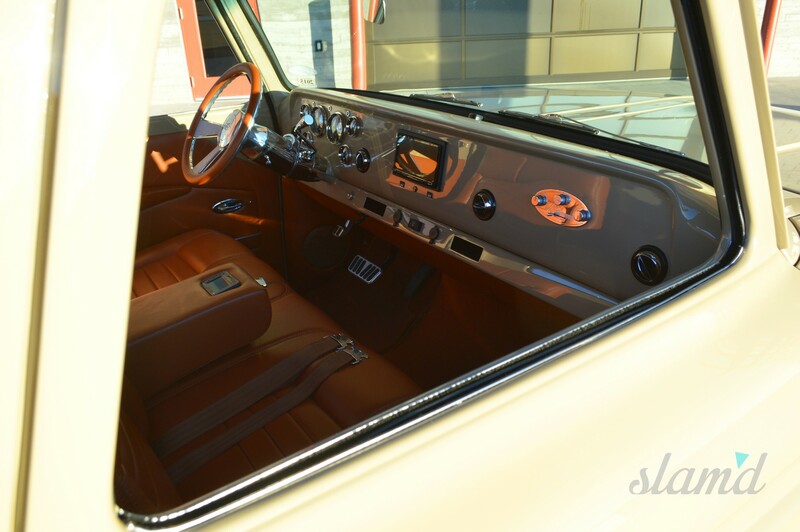 Details like the re-smoothed drip rail welds and front headlights help give the body indefinable cleanliness. 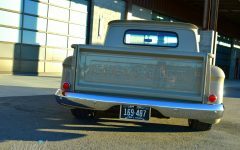 Providing more appealing transitions and a fully custom look are rounded bedrails, a modified and adapted rearend featuring ’37 Ford taillights, and an upside-down rear bumper. 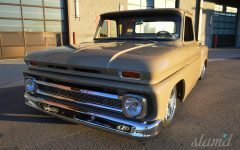 At one point the hood (having been rescued from a junkyard) was completely burned out and a full refurbishing was in order. 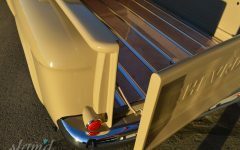 Finally a one-off swinging tailgate, free of chains or uncomely brackets was built to create a top-tier body modification. 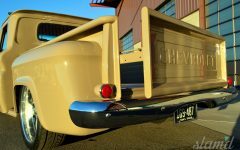 To adorn it properly, the C10 was drenched with Dupont Quicksand paint, a color that helped to influence the truck’s name: “The Buff” (short for buffalo). 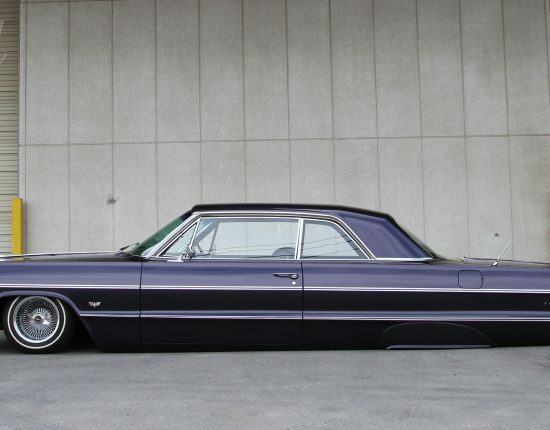 All in all the expert body work took a staggering 1,900 hours to complete. 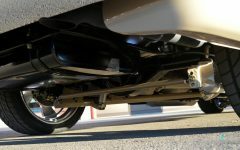 As Donny and the A1 team continued following his game plan, an air ride system needed to be installed to achieve the properly slammed stance. 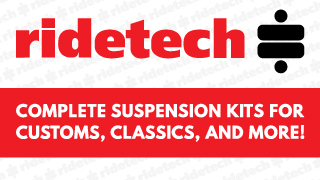 With excellence in mind and a top notch body to drop, Donny had a full Ridetech setup with Air Level 2 ProRide installed. 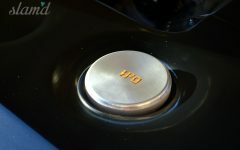 The system uses a fully programmable electronic control interface. The combination allows for an effortlessly adjustable stance to perfectly match form and function. 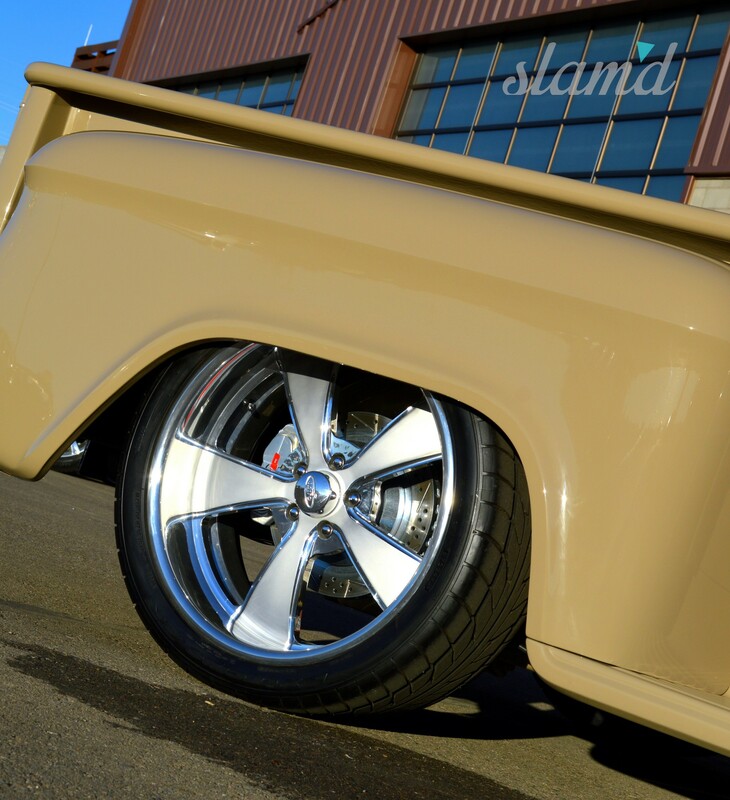 The laid out appearance is further enhanced with 19 and 20-inch Intro V-Rod wheels wrapped in Nitto 555 tires. Behind the perfectly fitted wheels are 14-inch, four-piston Master Power ProDrive brakes, which provide more than enough stopping ability. 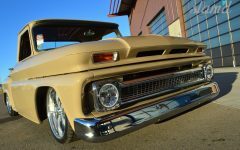 Spinning the tires is a monstrous 427ci Chevy Performance LS7 which including a custom dry-sump oil system and custom aluminum radiator with dual 12-inch electric fans. 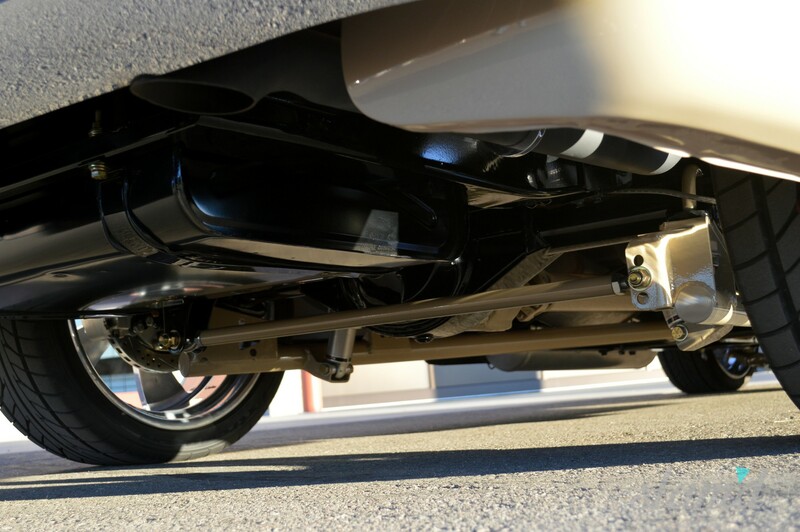 One-off headers and a 2.5-inch custom exhaust are tipped with Magnaflow mufflers. 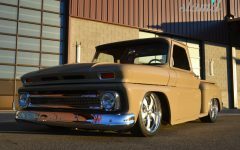 The combination, which produces more than 500HP, is backed by a stout 4L70E transmission and a Ford 9-inch rearend with 3.73 gears to really put the power on the pavement. 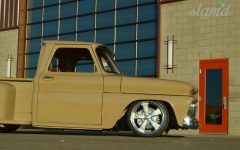 At this point in the build, the body, paint, suspension, and powertrain met Donny’s original bucket-list and beautifully exceeded his expectations. 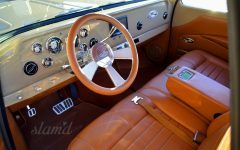 The final piece to the puzzle was a custom interior that would do justice to the high level of work already completed on The Buff. There was just one snag to the interior: the hard pressed timeline by which Donnie had planned to finish it. 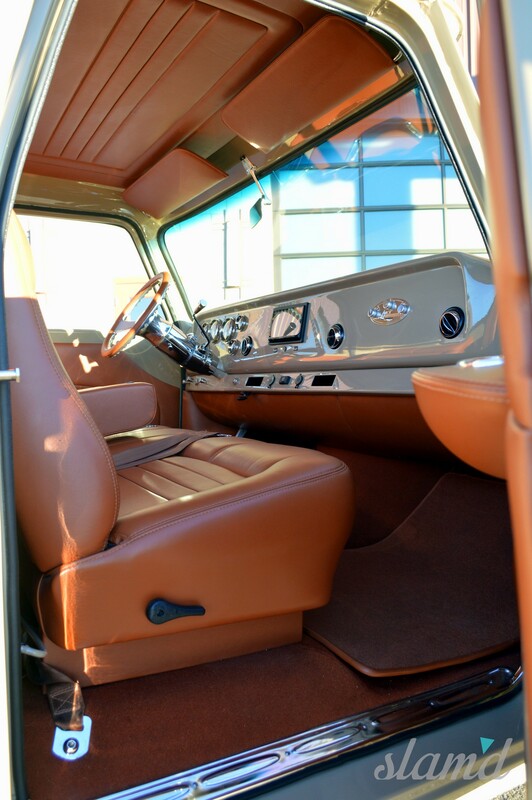 The goal was to show the truck late in the 2015 season but the interior work estimates all reached well into 2016. 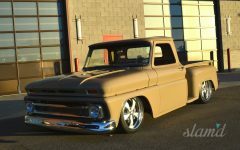 Working off a recommendation, he called Justin Stephens of JS Custom Interiors in Salt Lake City. 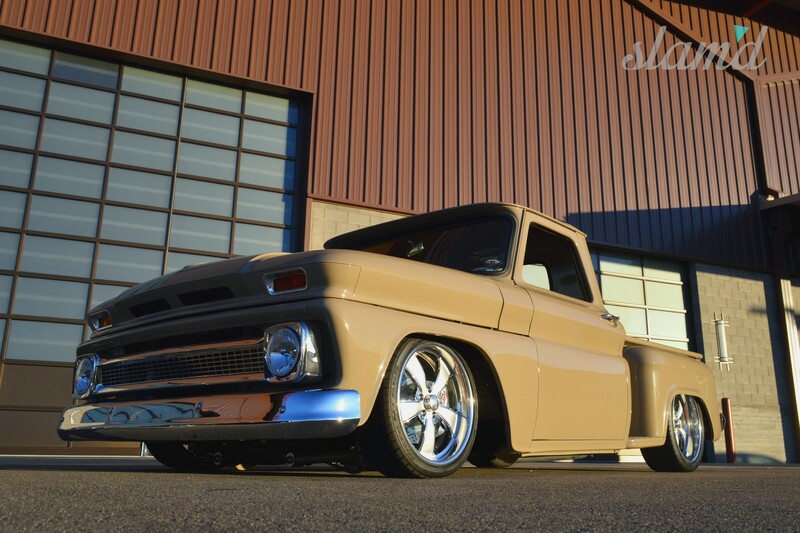 Justin squeezed the C10 into his schedule the first week of June 2015. A discussion between the two about Donny’s vision for the led to him giving Justin full creative control and artisitc discretion. The results did not dissapoint in the slightest. 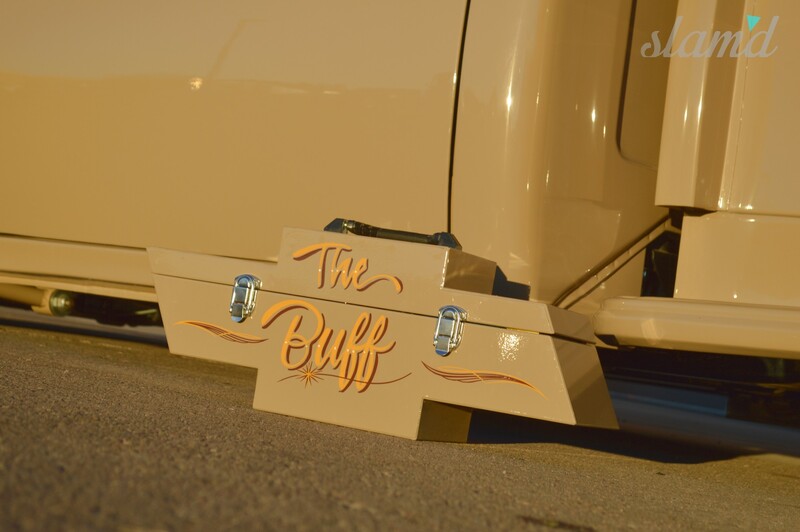 Justin finished The Buff’s interior in stunning fashion, fully gratifying Donny’s hopes for the final product. The upholstery and door panels are finely trimmed in cinnamon brown leather with a matching headliner insert. 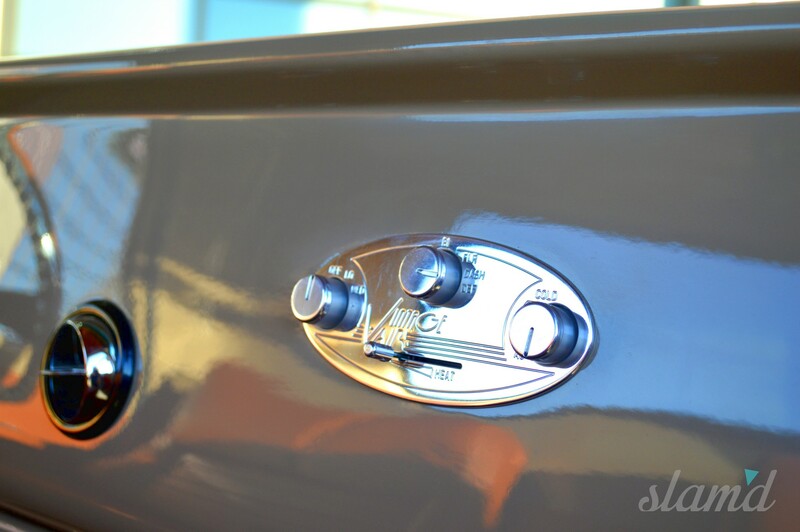 A briefcase storage container helps to provide a custom style with classic influence. 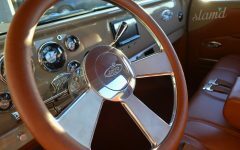 All American Tradition 6-Series gauges help to retain the original factory feel. 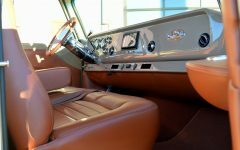 Modern additions to the dash include a fully-optioned Kenwood touchscreen head unit, as well as custom paint and details that stretch throughout the cabin. 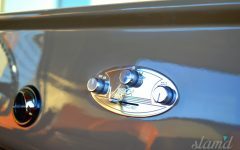 The custom paintwork and highlights were completed by the talented hands of Manual Bellazetin of Kindig-It Designs. 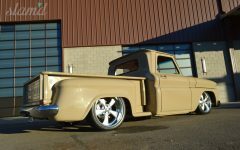 Essentially completed for the first time, Donny’s pride and joy made its way to Fort Worth, Texas for the Goodguys show in October 2015. 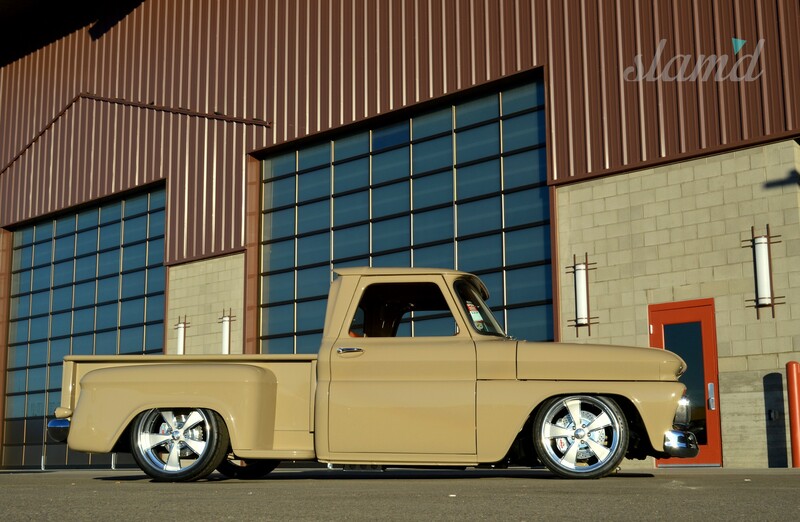 This reveal nailed the bullseye, allowing Donny to show his truck in October of 2015. On his way to the reveal, Donny made a special detour to his parent home. 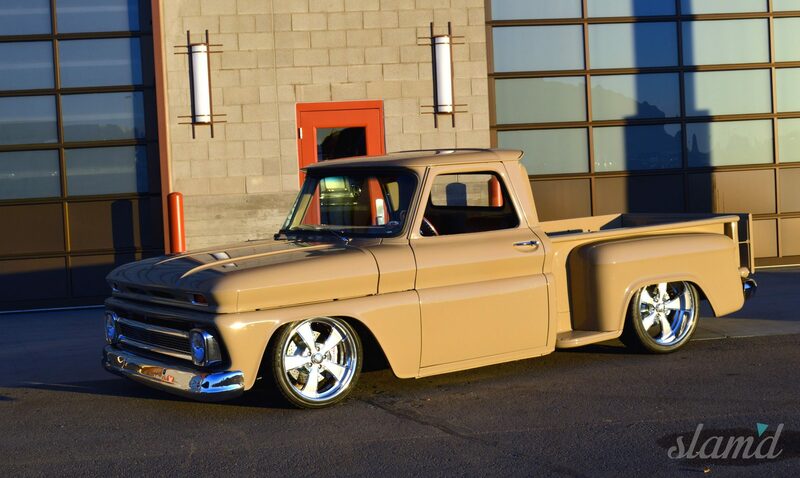 He was able to show them what the truck had become after nearly 50 years of running in the family. 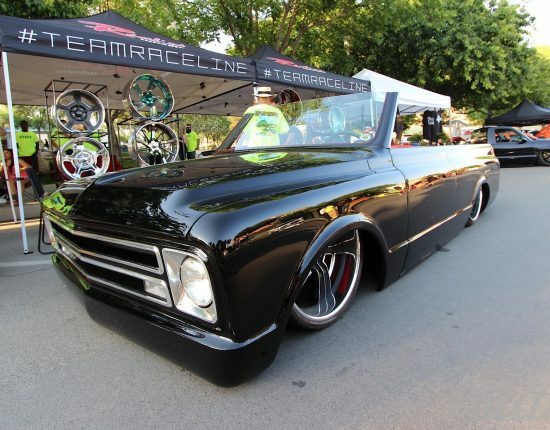 Naturally, Donnie’s father expressed his willingness to take the C10 back should Donny grow tired of it. To this, he jokingly mused that he had invested more in one wheel and tire than his father had previously purchased the truck for. 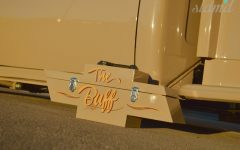 In Texas, The Buff was awarded Staff Pick of the show. 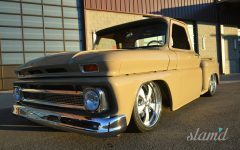 Immediately following, Donny hit the road again, this time for another Goodguys iteration in North Carolina where it was selected as a 2015 Truck of the Year in the late finalist category. 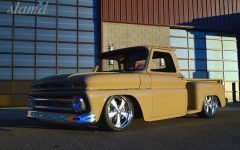 As last-minute details were addressed, the truck made its way to the final show of the season at the Goodguys Southwest Nationals where it won the Meguiar’s Magnificent Masterpiece Award. The C10 continued on the auto show circuit, making its way through the 2016 season. Nevertheless, the most special event at which it made an appearance was the wedding of Donny’s third daughter in June of 2016.